On 31 July 1905, Catherine, aged 19, married John Joseph Walsh, aged 22, son of William John Walsh and Sarah Ann Fincher, in St Michael's Church in Clare, South Australia . 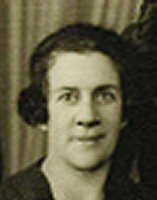 Mary Ellen McEvoy was born on 19 May 1882, daughter of William Andrew McEvoy and Catherine Lucy Case. On 29 July 1914, Mary, aged 32, married James Lawrence McMahon, aged 36, son of John Francis McMahon and Elizabeth Geharty, in St Andrew's Church in Balaklava, South Australia . On 29 July 1914, James, aged 36, married Mary Ellen McEvoy, aged 32, daughter of William Andrew McEvoy and Catherine Lucy Case, in St Andrew's Church in Balaklava, South Australia . John Joseph Walsh was born on 3 May 1883 in South Australia , son of William John Walsh and Sarah Ann Fincher. On 31 July 1905, John, aged 22, married Catherine Agnes McEvoy, aged 19, daughter of William Andrew McEvoy and Catherine Lucy Case, in St Michael's Church in Clare, South Australia . John was buried in the Sevenhill Cemetery, Sevenhill, South Australia . William John Walsh was born on 14 July 1856 in Walsh Park, Kapunda District, South Australia , son of John Walsh.